What is the exact difference between cloud computing and distributed computing which makes them separate terminologies? Before going to the details, we will suggest to read the basics on Distributed Computing and comparison of Cloud Computing, Distributed Computing and Grid Computing. Many readers want to know about the difference between cloud computing and distributed computing, usually after reading books about cloud computing and got get a feeling that somewhere there is a relationship between cloud computing and distributed computing. Let us start by stating the fact that we run a significant services on a cent-percent cloud-based environment, with or without knowledge. Cloud computing somewhat not really well defined due to heterogenous usages and abuse of the terminology – it was Professor John McCarthy from Stanford University who conceptualized the idea which we now call as Cloud Computing, back in 1961. Distributed computing involves dividing a large problem into smaller slices and having multiple networked computers process the slices. In Distributed computing, multiple computers participate in solving a task. On the other hand, Cloud computing usually refers to providing a service or rather computing infrastructure as a commodity which can be accessed via the Internet. Via the Internet includes numerous protocols, not necessarily only HTTP. We have a List of Commonly Used Abbreviations related to Cloud Computing. 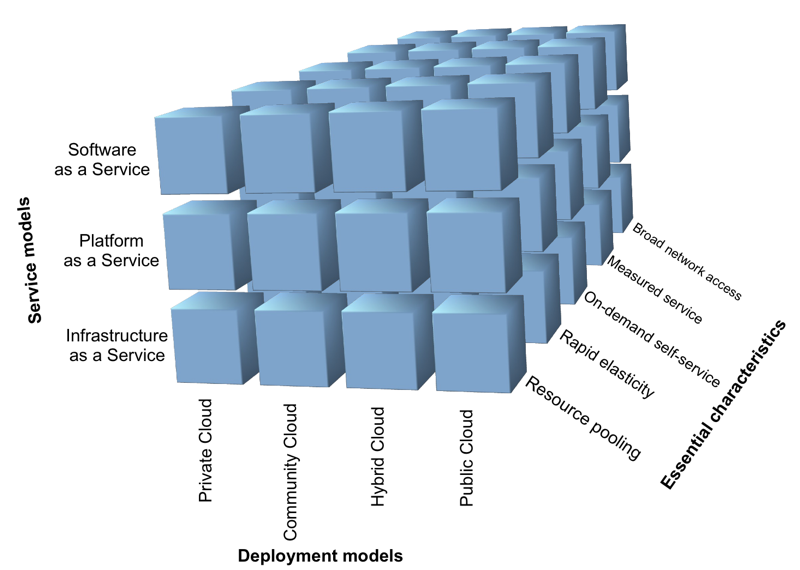 Is the Difference Between Cloud Computing and Distributed Computing is Blurred? Not at all. What defines cloud computing is that the underlying compute resources, be it storage, processors, RAM, load balancers for setting up a cloud-based service, the cloud computing software is entirely abstracted from the consumer and only on IaaS, this can be accessed via API. This means that the vendor of cloud based resources is taking the responsibility for the performance, reliability, scalability of the computing environment. Another important point to note is the service oriented architecture (SOA) – previously we have discussed how this Service Oriented Architecture ties Cloud Computing. From an application developers point of view, this can be a tremendous advantage – as procuring, maintaining, tuning, monitoring and scaling hardware to meet the demands of growth is both difficult and expensive on traditional system. Usually a SLA is offered, by the original Cloud Computing service provider. Distributed computing, as has been mentioned at the beginning of this article, is just a computing orchestrated between two or more computers. Cloud Computing by definition is a specialized form of distributed computing. As Cloud Computing is a kind of commodity, there are service models, which we have described in our article – Cloud Computing Service Models and Deployment. Tagged With Cloud Computing vs Distributed Computing , difference between distributed computing and cloud computing , Is Cloud computing a specialized form of distributed computing? , different between colud computing and distributed computing , difference between cloud computing and distributed computing , Difference between cloud and windows system , difference between cloud and distributed , diff disburted systen cloud computing , comparisons between colud computing and disribiyed computing , What is the difference between a distributed computing environment and a cloud-based computing environment? This Article Has Been Shared 9583 Times! Cite this article as: Abhishek Ghosh, "Difference Between Cloud Computing and Distributed Computing," in The Customize Windows, July 10, 2014, April 23, 2019, https://thecustomizewindows.com/2014/07/difference-cloud-computing-distributed-computing/.